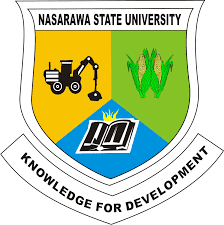 Applications are invited from candidates that scored the minimum required cut-off mark and made Nasarawa State University, Keffi (NSUK) their first choice of institution (UTME & Direct Entry) to apply for the admission screening exercise. Candidates Eligible for NSUK Post UTME/DE Screening. How to Apply for NSUK Post UTME or Direct Entry Screening. Registration for the screening exercise commences on Monday 30th July, 2018 and closes on Sunday 12th August, 2018. Applicants are required to pay the sum of Two Thousand Naira (N2,000.00) only as screening fee. GSM Phones and other electronic devices are not allowed into the venue. Parents, Guardians and uninvited law enforcement agencies will not be allowed into the venue. NSUK Post UTME/DE Screening Exercise Schedule/Timetable.